Wexford Weekly is a new opinionated, entertaining and intriguing sports blog. 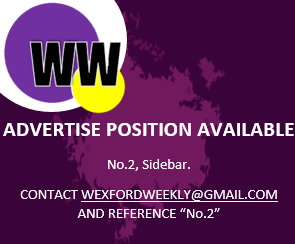 Email wexfordweekly@gmail.com to submit stories/advertising. Is It Time For Fitzgerald To Curb His Wing Back’s Adventures? Continue reading "Is It Time For Fitzgerald To Curb His Wing Back’s Adventures?" Continue reading "Jackie Tyrrell Insists That It’s Time To Go For Wexford’s Sweeper System"
Continue reading "Listen: Liam Spratt Speaks To Davy Fitzgerald And Matt O’Hanlon"
Continue reading "Team News: Clare Name Side To Face Wexford In All-Ireland Quarter Final"
Continue reading "Interview: Former Wexford Rugby Star Robin Copeland Joins Connacht"
Continue reading "All You Need To Know About The Looming Wexford V Clare Match"
Continue reading "RTE Will Be Showing The Wexford Vs Clare Quarter-Final Live"
Continue reading "Venue, Date And Time Confirmed For Wexford Senior Hurlers Clash Vs Clare"
Continue reading "Betting Odds For The Wexford Vs Clare Match Have Been Released"
Continue reading "All The Scorers From Wexford’s Win Over Westmeath"
Continue reading "[Report] Venue For All-Ireland Quarter-Final Could Anger Wexford Fans"
Continue reading "The U-21 All-Ireland Semi-Final Pairings Have Been Confirmed"
Continue reading "Watch LIVE: Wexford Vs Galway U-21 Leinster Hurling Final"
Continue reading "Daring To Dream: Wexford’s Potential Route To An All-Ireland Final"
Continue reading "Date, Venue And Time Confirmed For Senior Hurlers Match Vs Westmeath"
Continue reading "Wexford Senior Hurlers’ Opponents Confirmed For Next Championship Match"
Continue reading "Three Wexford Natives Star On World Championship Pool Winning Team"
Continue reading "Date, Venue And Time Confirmed For Leinster U-21 Hurling Final"
Continue reading "Wexford U-21’s Are Now Guaranteed A Place In All-Ireland Hurling Semi-Final"
Continue reading "Two Fresh Injury Concerns For Davy Fitzgerald’s Senior Hurling Team"
Continue reading "Wexford’s Professional Boxer Niall Kennedy Aiming To Go 12-0 Tonight"
Continue reading "Wexford Park Will Host A Double Header This Afternoon"
Continue reading "U21 Hurling: All Of Wexford’s Scorers From An Epic Win Over Dublin"
Continue reading "Wexford Beat Dublin In Parnell Park To Reach U-21 Leinster Hurling Final"
Continue reading "Team News: Wexford U-21 Hurling Team Named To Face Dubs"
Continue reading "Watch: Wexford U-20 Goalkeeper Runs Pitch And Scores Outrageous Point"
Continue reading "Here’s The Wexford U-20 Football Team To Face Dublin In A Crunch Battle"
Continue reading "Wexford’s U-21 Leinster Hurling Semi-Final Opponents Have Been Confirmed"
Continue reading "All You Need To Know About Wexford’s U-21 Leinster Hurling Championship Opener"
Continue reading "A Positive Outlook On The Wexford Senior Hurlers’ Current Position"
Continue reading "Wexford U-20 Selector Voices Anger At Newly Incorporated GAA Rule"
Continue reading "Kilrush Make History As Feile Team Are Named Joint All-Ireland Winners"
Continue reading "The Wexford Hurlers Potential Opponents For The Next Two Rounds"
Continue reading "Davy Fitz Interview: “I Am So Gutted And So Sick, It’s Hard To Tell You How I Feel”"
Continue reading "All The Scorers From Wexford’s One-Point Loss To Kilkenny"
Continue reading "WATCH LIVE: Kilkenny Vs Wexford Leinster Hurling Championship"
Continue reading "Wexford Senior Football Team Named To Face Waterford"
Continue reading "Team News: Brian Cody Names His XV For Wexford Derby Clash"
Continue reading "There’ll Be A Few Familiar TV Stars Attending The Kilkenny Vs Wexford Game"
Continue reading "How To Watch Kilkenny Vs Wexford In HD Without A Subscription To Sky"
Continue reading "Wexford Hurling Legend Believes Davy Fitz Has Sent Out The Wrong Message"
Continue reading "All You Need To Know Ahead Of Kilkenny And Wexford’s Crucial Showdown"
Continue reading "Ticket Information Ahead Of The Kilkenny Vs Wexford Game"
Continue reading "[Report] Wexford’s Rory O’Connor A Doubt For Crucial Kilkenny Game"
Continue reading "Wexford Eagles Romp To Play-Offs With Yet Another Dominant Win"
Continue reading "Davy Fitz Interview: “It’s Hard To See Us Doing This Four Weeks In A Row, It’s Impossible”"
Continue reading "Wexford U-20’s Defeat Longford To Set Up Mouth-Watering Home Battle"
Continue reading "Mind Games Or Excuse: Fitzgerald Slams System And Would “Put House On Kilkenny”"
Continue reading "Five Talking Points Following Wexford’s Loss To Galway"
Continue reading "All The Scorers From Galway’s Victory Over Wexford In The Park"
Continue reading "Galway Name 13 From All-Ireland Winning Side On Starting XV To Face Wexford"
Continue reading "Team News: Fitzgerald Names Side To Face Galway In Chrunch Battle"
Continue reading "All You Need To Know About Tomorrow’s Wexford Vs Galway Mouthwatering Clash"
Continue reading "How To Watch Wexford-Galway In HD Without A Subscription To Sky"
Continue reading "Wexford Looking For Their First Championship Win Over Galway Since 1996"
Continue reading "Time, Date & Venue Announced For Wexford’s Qualifier Vs Waterford"
Following his interview with Wexford hurling manager Davy Fitzgerald, Liam Spratt of South East Radio caught up with Wexford's wing forward Jack O'Connor after their comfortable win over Offaly recently. Listen to the full interview with O'Connor below: https://soundcloud.com/user-461810863-281587006/jack-oconnor-interview __ Tickets to Wexford's next crucial hurling game versus Galway can be purchased online here. Continue reading "Davy Fitz Interview: “Wexford Park Will Be An Interesting Place To Be On Saturday”"
The Wexford U-20 footballers face Westmeath in Mullingar on Monday evening at 7pm. Attached below, is a picture of Wexford's team and match-day panel, managed by Brendan Kehoe with the well-known selectors of PJ Banville, Eric Banville and Kevin Reilly. Best of luck to all involved. Continue reading "Wexford’s Tadhg Furlong Helps Leinster Secure Historic Double"
Continue reading "Watch: Anthony Daly Reckons Wexford Are Now All-Ireland Contenders"
Continue reading "This Is Who The Wexford Senior Footballers Could Play In The Qualifiers"
Continue reading "Another Day And Another Trophy For Upcoming Gorey Rangers Team"
Continue reading "All The Scorers From Wexford’s Thrashing Of Offaly Yesterday"
Continue reading "A Win On Saturday Would Set Us Up, But Losing Is Out Of The Question"
Continue reading "Team News: Wexford’s Senior Hurling XV To Face Offaly"
Continue reading "Ticket Information Ahead Of The Offaly – Wexford Leinster Championship Game"
Continue reading "North End Secure Wexford League Title Before End Of Season’s Fixtures"
Continue reading "Late Rally Not Enough As Laois Overcome Wexford Minor Footballers"
Continue reading "Wexford’s American Football Team Destroy Galway And Continue Winning Streak"
Continue reading "Professional Wexford Boxer Looking To Go 12-0 As Opponent And Date Set For Next Fight"
Continue reading "GAA Disciplinary Chiefs Are Reviewing Wexford Hurler’s Melee With Pat Gilroy"
Wexford overcame the Dubs in Wexford Park on Sunday after a dramatic, nail-biting finish. Watch the highlights of the Leinster Championship game here. Continue reading "All The Scorers From Wexford’s Dramatic Victory Over The Dubs"
Eric Quinn and Mark Woods hit the net today in the Wexford Cup final between Gorey Rangers and Shamrock Rovers. Full-time Wexford Volkswagen Cup final in Ferrycarrig Park: Gorey Rangers 2 - 0 Shamrock Rovers Goals from Eric Quinn and Mark Woods ensured the Gorey side were crowned winners of the Wexford Cup after a 54-year-long wait. Continue reading "Here’s The Wexford Minor Hurling Team To Face Kilkenny Today"
Continue reading "Team News: Fitzgerald Reveals His Hand For Leinster Championship Game V Dublin"
Continue reading "Here’s Dublin’s Team To Face Wexford In Sunday’s Leinster Championship Game"
Continue reading "Keaney’s Injured But Dubs Handed Major Boost Ahead Of Wexford Game"
Continue reading "One Of Dublin’s Key Hurlers Ruled Out Of Upcoming Wexford Clash"
Continue reading "Lee Chin: “I Want To Finish My Career Knowing I Contributed All-Irelands To Wexford”"
Continue reading "Oulart-The Ballagh Lay Down Early Marker With League Final Win"
Continue reading "All You Need To Know Ahead Of Wexford Vs Dublin LSHC Match"
Continue reading "Davy Fitz Hails Wexford Fans For Support And Hopes They Will “Never Change”"
Continue reading "Wexford Looking For Their First Championship Win Against Dubs Since 2008"
Continue reading "The Offaly Vs Wexford Leinster SHC Game Will Now Be A Double-Header"
Continue reading "Watch: The Penalty Shootout That Saw North End Crowned Champions"
Continue reading "Wexford Minor Hurling Team Named To Face Laois In Double-Header"
Continue reading "McLoughlin Announces Wexford Senior Football XV To Face Laois"
Continue reading "Ticket Details For Wexford Vs Dublin Leinster Senior Hurling Championship"
Continue reading "Laois Name Experienced Team To Face Wexford In Saturday’s Championship"
Continue reading "Wexford’s North End Seeking National Glory On The Weekend"
Continue reading "Wexford Hurling Fans Rejoice As Key Attacker Returns To Training"
The former Wexford Youths star described their performances as shameful and shocking. Continue reading "Sky Sports Attain Exclusive Rights For Two Wexford Senior Hurling Matches"
Continue reading "Catriona Murray Masterclass Sees Wexford Crowned League Champions"
Continue reading "Two Wexford Natives Help Lansdowne To All-Ireland Rugby Victory"
Continue reading "Hockey: Enniscorthy Lose To Wicklow Rivals In Defensive Masterclass"
Continue reading "Forde Confident Wexford Can Overcome Odds And Defeat Laois"
Continue reading "Watch: The Cracking Goal That Clinched All-Ireland Glory For Enniscorthy CBS"
Continue reading "Davy Fitzgerald On Why Jack Guiney Is No Longer Part Of Panel"
Wexford GAA have launched a new commemorative jersey, and the Wexford Senior footballers will wear it during their opening championship game versus Laois. Continue reading "O’Hanlon Speaks Current Set-Up, Looming Dublin Game And Fitz-Factor"
Continue reading "Financial Penalty Likely To Hit Wexford As Senior Hurlers Travel To Portugal"
Continue reading "Rumours Confirmed As Jack Guiney No Longer Part Of Wexford Hurling Panel"
Continue reading "“I Was Suprised To Get A Phonecall” – PJ Nolan On New Wicklow Venture"
Continue reading "Former Wexford Hurler Turns Allegiances To Wicklow Hurling"
Continue reading "All The Results From This Weekend’s Opening Wexford Club SHC"
Continue reading "Here’s The Betting Odds For This Weekend’s Wexford SHC And IHC"
Continue reading "Fixtures, Dates, Venues & Times For Round 1 Of The Wexford SHC"
Continue reading "Fixtures, Dates, Venues And Times For Round 2 Of The Wexford SFC"
The Wexford Pikeman continues to rise in the MMA world. Continue reading "Odds Released For Wexford Senior Hurling Championship Outright Winners"
Continue reading "Lee Chin Will Be Presenting A TV Show On RTE This Evening"
Continue reading "New Gaelic Football Video Game Is On Kickstarter And It’s Gaining Momentum"
After an eagerly anticipated wait, the Wexford Senior Football Championship got underway once again over the weekend. Continue reading "Wexford Heavyweight Boxer Linked To Fight Former UFC Star"
Continue reading "Wexford Hurler Lee Chin Splits Opinion With Recent Comments"
Continue reading "For The Young Boys Growing Up In Oulart And The Ballagh In The ‘70’s And ‘80’s, Mick Jacob Was God"
Everything's to play for in the NHL semi-final and both managers have named their starting XVs. Continue reading "Incredible Atmosphere Expected As Wexford Park Pushing Close To Sell-Out"
Watch it live here from 2pm. Continue reading "O’Connor Suffers Broken Thumb And Ruled Out For Two Months"
Continue reading "Storey Outlines The Similarities And Differences Between Davy And Liam Griffin"
Continue reading "Team News: Kilkenny Name Strong XV To Face Wexford"
Continue reading "A Crazy Amount Of Tickets Have Already Been Sold For The Wexford-Kilkenny Match"
Continue reading "Doubts Over McDonald And Reck For Upcoming Kilkenny Clash"
Continue reading "Wexford’s Top Scorers So Far In The 2018 National Hurling League"
Continue reading "A Familiar Face Appointed As New Wexford GAA ‘Commerical Manager’"
Continue reading "All You Need To Know Ahead Of The Wexford V Kilkenny League Semi-Final"
Continue reading "The Main Talking Points After A Great Weekend For Wexford"
Continue reading "Watch: Young Fan Pulls Off Perfect Crime To Steal Sliotar In Wexford Park"
Everyone was loving Tadhg Furlong's appearance on The Late Late Show. Continue reading "Team News: Wexford Hurling Team Named For Galway Clash"
Continue reading "All You Need To Know Ahead Of The Wexford-Galway NHL Quarter-Final"
Continue reading "DCU’s Wexford Contingent Bring College To Fresher A Hurling Glory"
Continue reading "TG4 Announce The GAA Games They’ll Broadcast This Weekend"
The new date, time and venue have been confirmed for the NHL re-fixture between Wexford and Galway. Continue reading "Update On Wexford Vs Galway Quarter-Final"
Continue reading "Bought A Ticket And Can’t Go To Tommorrow’s Re-Fixture? Here’s What To Do"
Continue reading "Team News: Galway’s XV Announced Ahead Of Wexford Clash"
Continue reading "Team News: Wexford Name Team To Face Galway In League Quarter-Final"